Fancy a little slice of Marina Heaven….?! Call us NOW!!! A beautiful two bedroom maisonette benefiting from a private own entrance, allocated parking space, uPVC double glazing and electric heating. Entrance Hall stairs lead up to the open plan kitchen, living and dining area all under amazing high vaulted ceilings. A Juliet balcony and large uPVC double glazed windows provide partial views over the Marina. 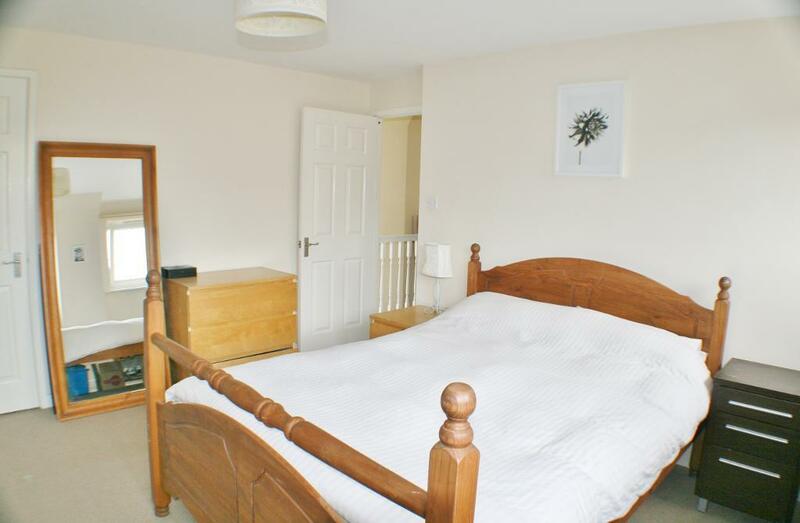 Two good sized bedrooms with the master featuring a stylish en-suite shower room. Council Tax Band D . Marina management fee is approximately £36 per calendar month, and there is a £120 per year charge for the buildings insurance. Located in the popular and sought after area of Penarth Marina this property is a short stroll from Cardiff Bay and Penarth town centre. Coffee houses, boutique shops, local grocery stores and excellent restaurants are right on your doorstep. 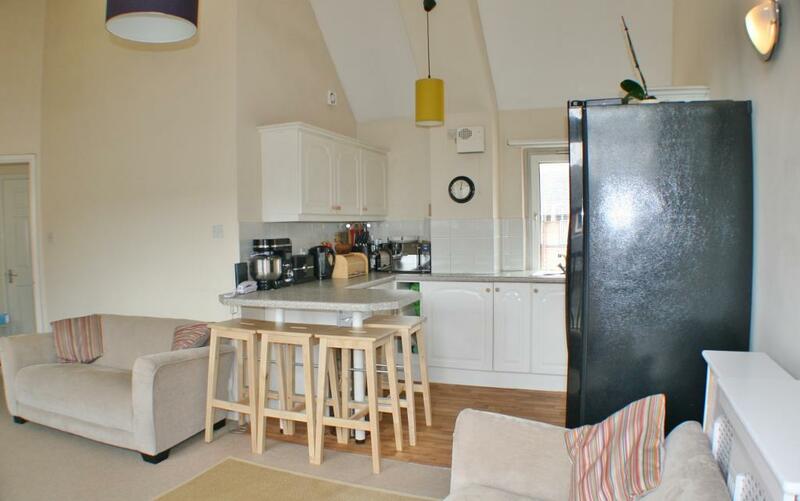 With great access to the M4 and public transport links taking you to Cardiff City and beyond. A welcoming entrance hallway with stairs leading up to the apartment. Access via a secure uPVC front door and decorated in neutral colours. A real bonus of this apartment is a good size external storage unit providing a great additional storage space. As spacious and light landing with storage cupboards and doors to all rooms. Carpeted throughout and heated via storage heaters. A loft hatch leads up to a large loft providing additional storage. 18′ 6” x 9′ 6” (5.64m x 2.9m)Stunning full width french doors with a Juliet balcony and an additional rear uPVC window flood the room with light. 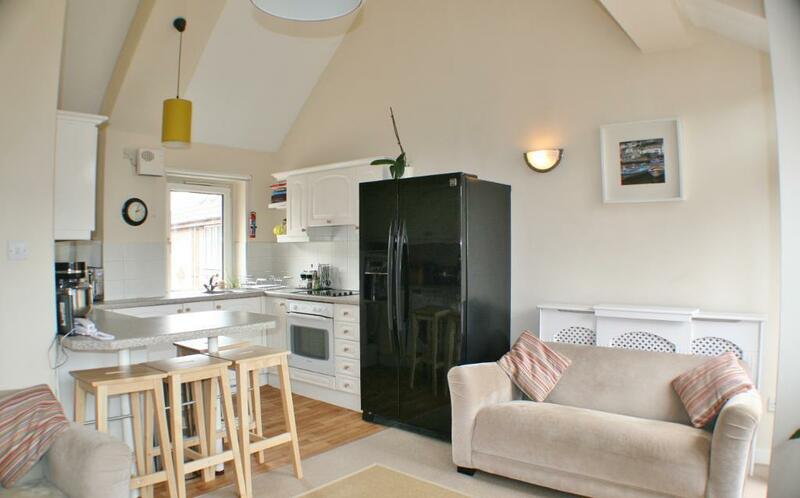 The room boasts impressive vaulted ceilings giving the apartment a light and airy feel, with plenty of space. Carpeted throughout with storage heater and wall lights. 10′ 7” x 5′ 4” (3.23m x 1.65m)A lovely fitted kitchen providing plenty of storage from the array of wall and base units. With complimentary worktops and tiled splash backs, a stainless steel sink/drainer and an integrated electric oven and hob. Double glazed window giving a partial view of the yacht basin. 12′ 11” x 12′ 4” (3.96m x 3.78m)A large double bedroom, easily able to fit a King Size Bed and large bedroom furniture. Fully carpeted and decorated in neutral colours. Two uPVC double glazed windows allow plenty of light into the room. The room is heated by a storage heater. A shower room with fully tiled walls and fully tiled shower enclosure. With a modern wash hand basin and extractor fan. 11′ 3” x 8′ 9” (3.43m x 2.67m)Another good size double bedroom, fully carpeted and decorated in neutral colours. There is a large uPVC window letting in lots of natural light, a storage heater, and space for additional bedroom furniture. Tiled bathroom with double glazed obscure window and wall mounted electric heater. Panelled bath complete with electric shower, wash hand basin with light/shaver point and low level W.C. Calling ALL Landlords!!! Seabreeze Homes can help you and your property….. Stunning New Penarth Properties on the Market!! Take a Look…..